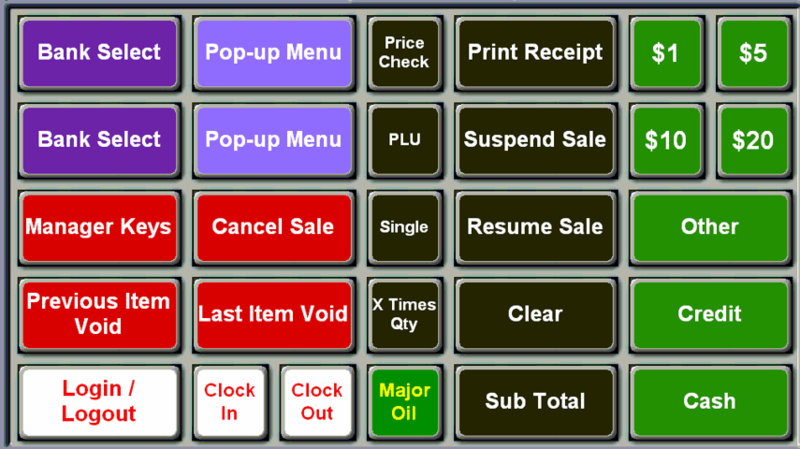 TravStar1 Point Of Sale SystemRegister Manual IntroductionWhat are the Different Parts of the Register Screen? What are the Different Parts of the Register Screen? This lesson discusses the different parts of the register screen and their functions. There are multiple banks of keys. 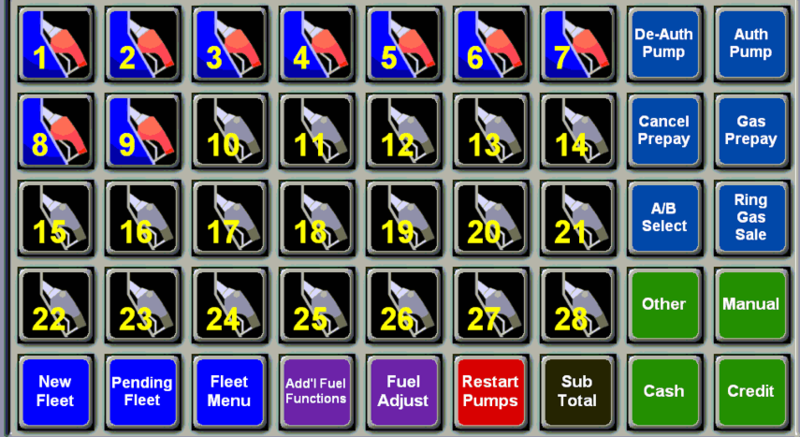 These 2 examples are the home screen, which contains the most commonly used buttons and the fuel screen, which contains the dispenser icons and fuel related buttons. 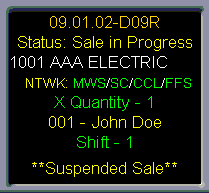 The Main Display is located in the top left portion of the screen and it used to display items in a sale, subtotals, and inquiries. When touched, the Main Display will toggle between your current screen and the fuel screen. (1) The first line displays the register software version. (2) The second line displays the current status of the register (e.g. IDLE, Sale in Progress, and Void). (3) The third line displays the customer account when an in-house account is used, otherwise the third line is blank. then there is a network communication issue between the register and another Fiscal device. (5) The fifth line displays the item quantity. (6) The sixth line displays the cashier currently assigned to the register. (7) The seventh line displays the current operating shift (1-4) of the register. Transfer on this line whenever data is being sent from the Managers Work Station to the register. Touching this portion of the screen will always return you to your home screen. preview of the customer's receipt. This will display the full receipt for approximately 4 seconds. 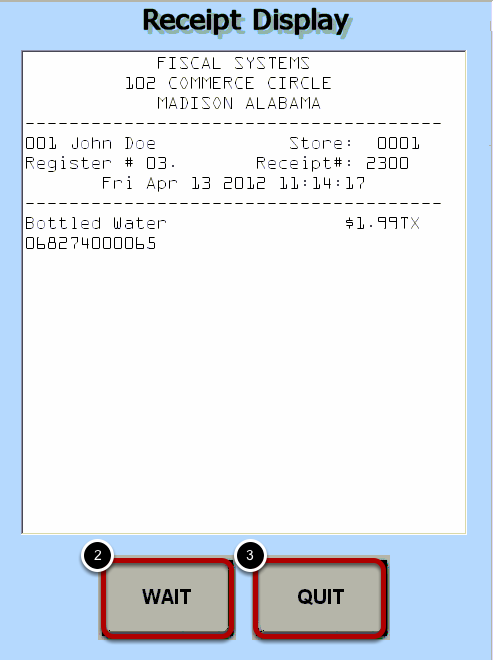 (2) If you need more time to look at the receipt touch the "Wait" button. 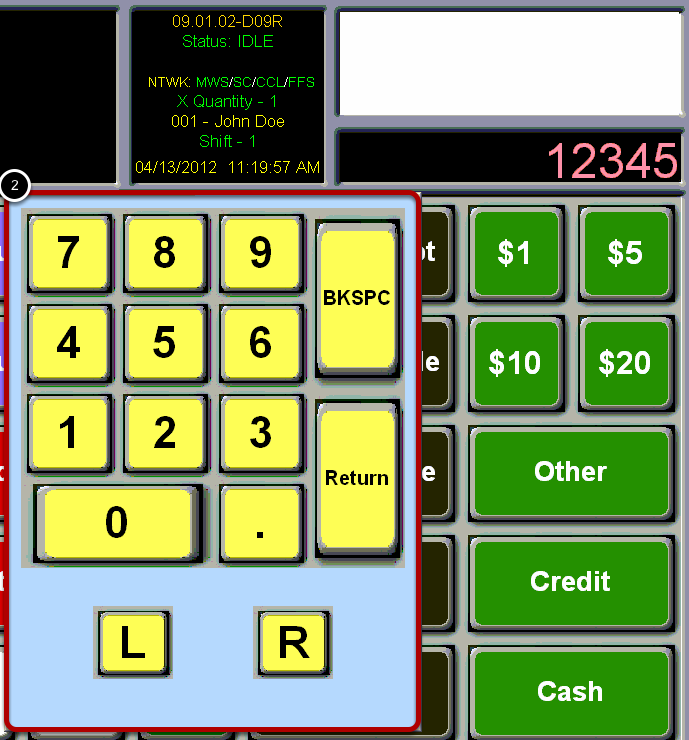 (3) To exit the Receipt Display touch the "Quit" button. 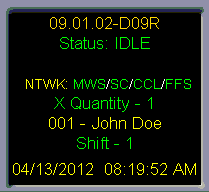 (1) The Data Display, located in the top right portion of the screen, displays anything that is typed on the keyboard. Touching in the Data Display will bring up an on screen number pad. number pad, touch the "Return" button. Next: How Do I Login to the POS?